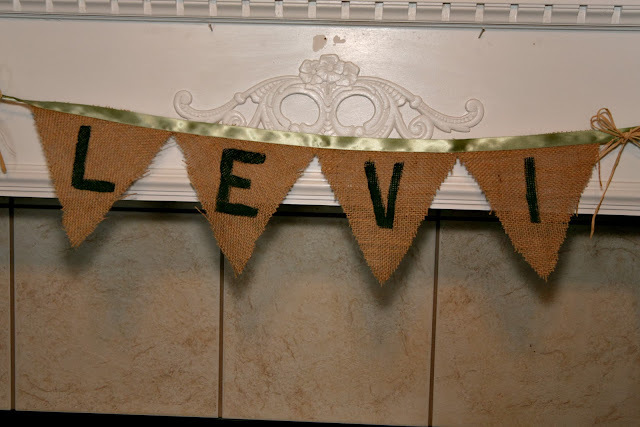 We recently had my niece a baby shower and she wanted a rustic theme. She had picked out a Willow Organic deer pattern and we tried to coordinate the theme so that it would all tie in. Since she makes and designs cakes she decided to decorate her own cake. Here is the pattern that she was going after for her cake. Needless to say she matched the Willow Organic pattern perfectly...Don't you think? 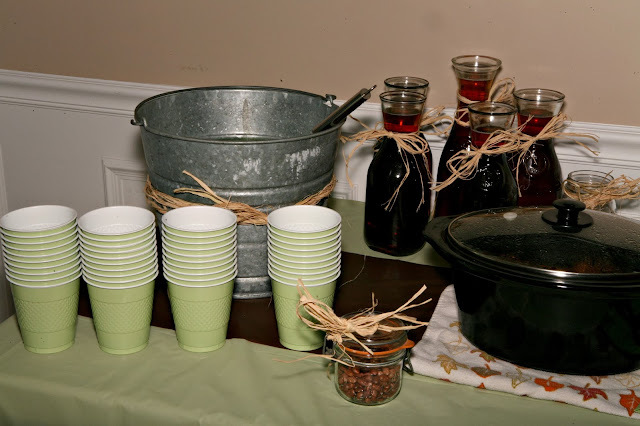 We wanted to keep it simple but cute....Used my Thrift store Carafs for tea and a simple bucket for punch. 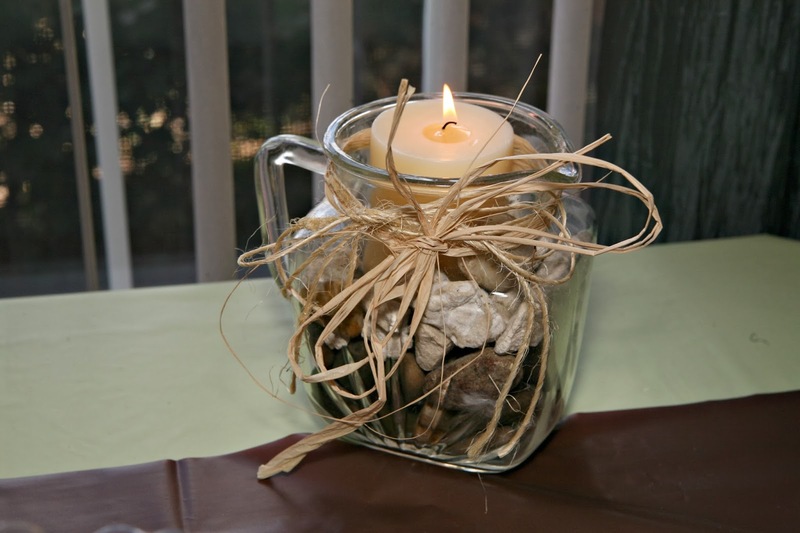 Everything was centered around the browns, greens, raffia and twine. Some of the mason jars was filled with different kinds of beans and dry corn. Mason jars with stones and candles really added a touch a cuteness as well as simplicity. You just can't beat an old mason jar...no matter the size of it. I had this adorable little yard sale pitcher that worked out great for decoration. 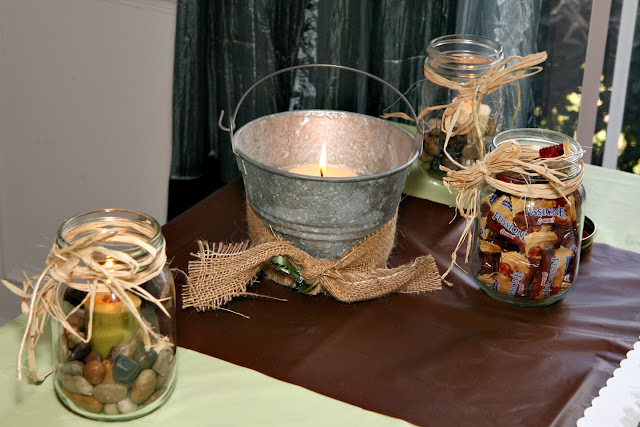 Buckets and mason jars....Decided to fill up one with candy and at the end of the shower I just popped the lid on it and gave it to the mom to be. We needed just a little something to add to the rustic deer theme so what better than a banner? A little burlap, paint, ribbon, raffia and deer printouts and wala! 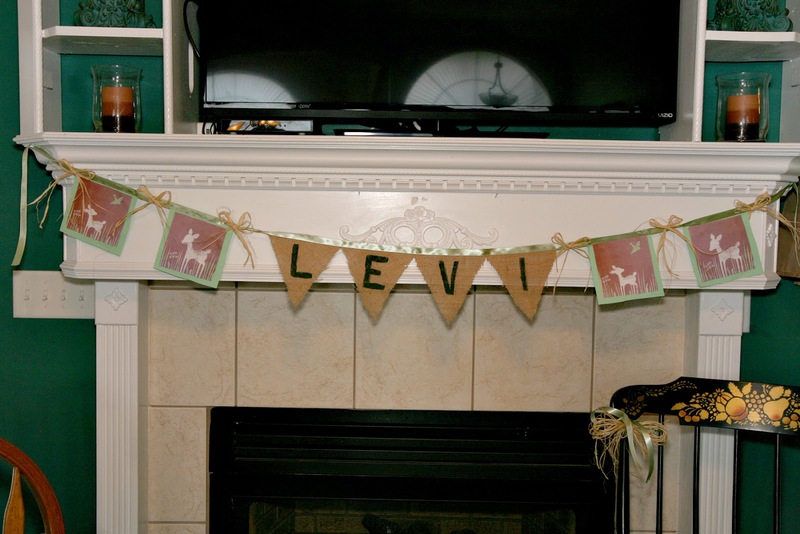 And the mom to be was quite happy with her simple but rustic baby shower. Hope you enjoyed our little baby shower. This sweet little boy is due in a couple of weeks. 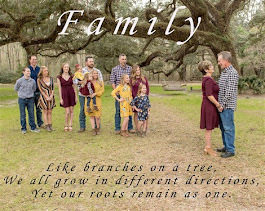 Would you covet with me in prayer and ask that our Lord allow my niece to have a non-complicated delivery with a healthy baby boy? Have a blessed day my friends. Love the new look of your blog!!! It's awesome! The shower theme is adorable and your niece did an amazing job on the cake. So glad you're back to posting!! Wow, I love the entire theme and all the decorations and photography - how adorable! The cake is un-real -Stephanie did a Super Job! Love every decoration and idea here. 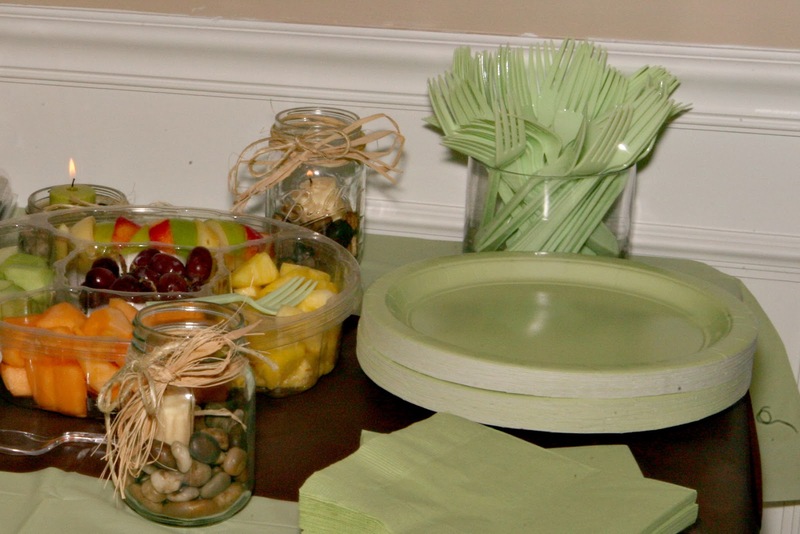 (I use mason jars for everything - glad I am not alone but this really gives them a new spin :-) Johnna D.
Hey Cindy, what a unique and pretty baby shower theme. Your beautiful niece did a beautiful job on the cake. She surely takes after her sweet Aunt. Talent just runs in the family it seems. 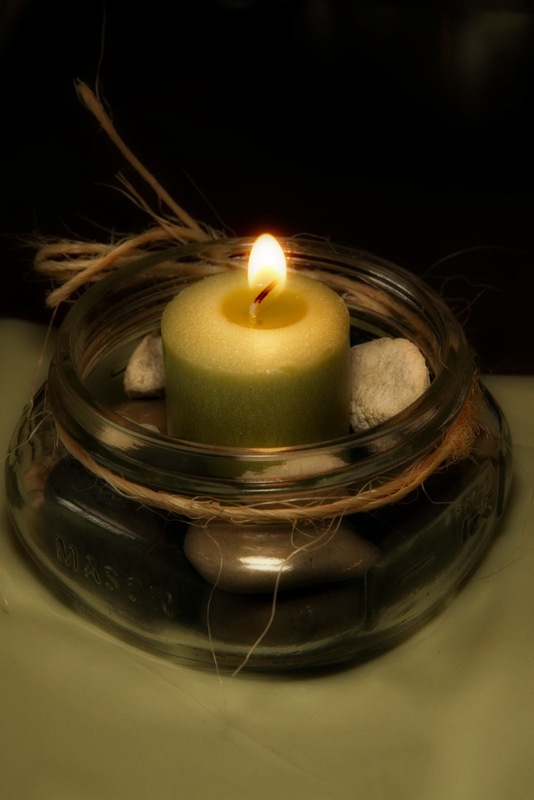 I love the stones in the jars and pitcher for the candles! 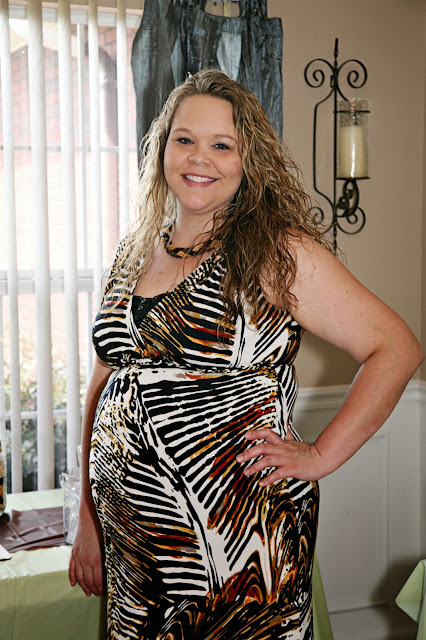 I just sent up my prayer for Stephanie's safe delivery of Levi. God couldn't have blessed this child with a more Christ loving family. Love the cake and décor! it is all adorable, cindy! The cutest theme and decorations for a shower. Loved all your special rustic touches. Great new Blog look too. Prayers already said for safe delivery for mom and baby Levi. This is just cute, cute, cute!! I love all the rustic details, the nursery, and the great cake! You did see our rustic country wedding, didn't you? I need to go back and look at the comments. You are always so good to leave them. 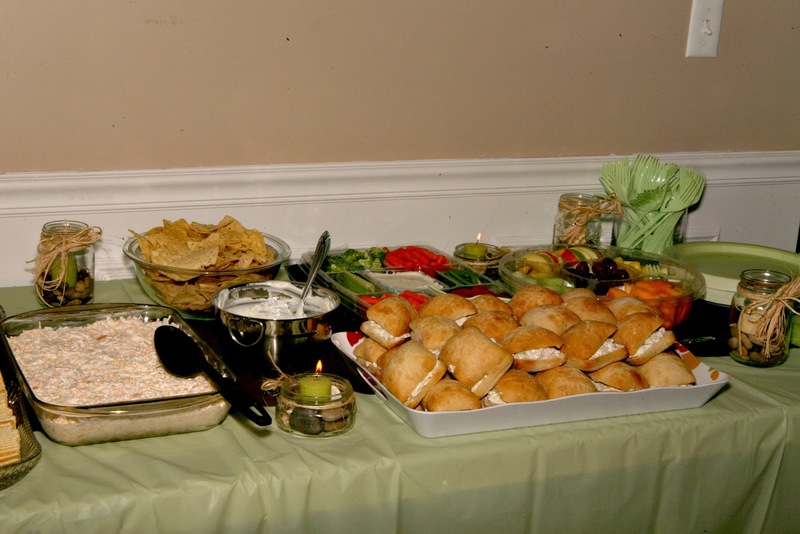 I just wanted to make sure you saw it and the rehearsal dinner since they were rustic too. 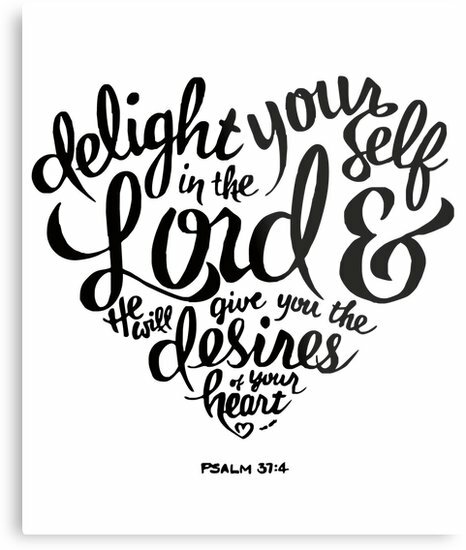 I'm rambling, very tired, we just returned from a Beth Moore conference at Daytona Beach. It was wonderful! Enjoyed this adorable post. I haven't seen that nursery theme, so cute. Like your new blog decor too! I love this rustic theme (I am going to a wedding in a few weeks with a similar theme!) The color combo is so relaxing and I love the bed linen for the baby -The food also looks yummy - praying for a healthy bundle of joy! What a wonderful baby shower! You nailed it, my friend! Thanks for sharing the décor and the cake - and your niece - with us. I know it was a special day for everyone. 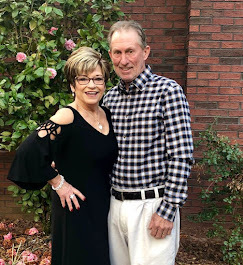 Cindy - this was a beautiful event - so tastefully put together. I never liked all those strong primary colors for kiddie stuff. I did a very muted Beatrix Potter theme for my kids. 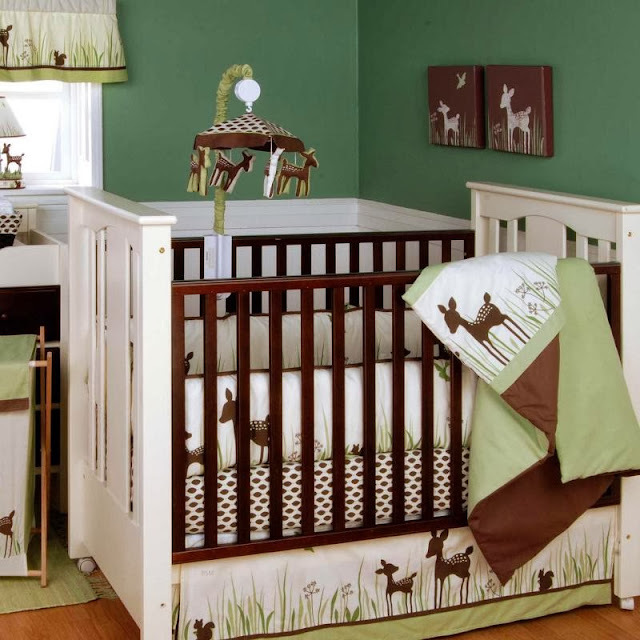 I love all the greens and browns with the deer theme - the rustic charm is inviting and soothing which is the perfect atmosphere for bringing a baby into the world. 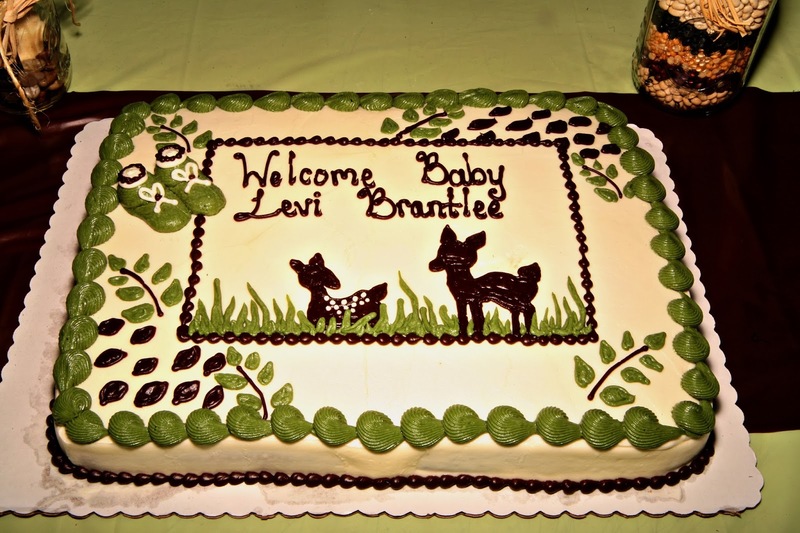 Bless you as you await Levi's entrance into your family!